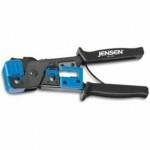 Specification Type no HT Die P/N Specifications Crimping Cable Size &nbs.. 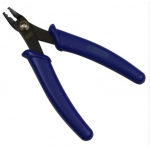 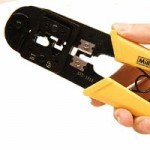 Parallel crimping action & Professional type provides precise operation.Tool 2008A / 2008AR is designed w..
8P8C/RJ-45, 6P6C/RJ-12, 6P4C/RJ-11 with round cable stripper(UTP/STP).Deluxe type.Frame is made of lightweight steel, compact & durable..
A specialist crimping tool for attaching fibre blowing leader beads to fibre prior to installation. 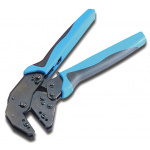 Suitable for crimping bullets&..
PROFESSIONAL CRIMPING TOOL RATCHET TYPE - Frame OnlyManufactured using fine blanking technology.Crimps with light hand force.Dual-color handle reinfor..
BT Modular Plug CrimperPart Number: E72-1018For crimping of BT modular plugs.Also Crimps R11/12 Connector with Cable cut ..